Cyclists love to talk up their favorite bike shop or bike mechanic, so if you’re new to a city or to the biking scene, hit up some locals for their preferred picks. Compile a list of nearby bike shops (you can use a smart phone app like Bike Shop Finder) and ask around or consult social media or a local cycling forum (try a local club’s website) for advice on which bike shops are worth their wheels. Visit the bike shop and trust your intuition. Is the staff friendly and attentive? If the bike shop is chock full of high-end carbon, will they also cater to your commuting needs? Competitive prices and a good product selection also separate the good bike shops from the great ones. 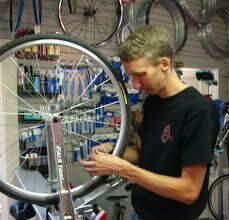 Also look for a bike shop that has a reasonable turnaround time on repairs and can special order bicycle products. Employees should be approachable, offer their two cents on products and be willing to help you with whatever you need, regardless of if you buy something that day or not. The same goes for bike mechanics. You should feel comfortable asking questions and employees should be able to communicate with you on a level you understand. 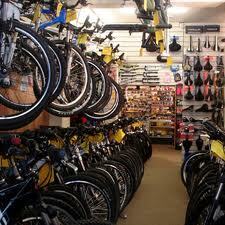 The best bike shop will encourage you to perform your own maintenance or repairs. 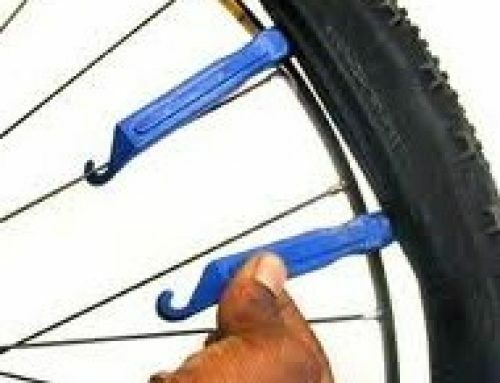 Many bike shops hold clinics, offering instruction on everything from changing and patching a flat tire to performing routine maintenance. 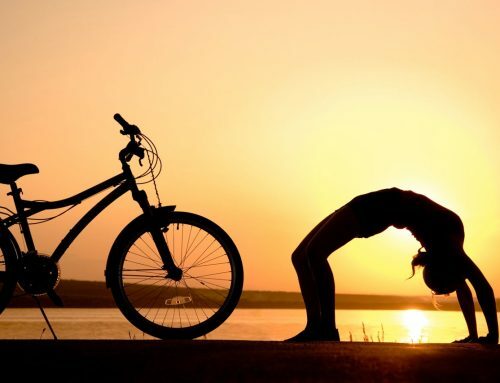 Finally, look for a bike shop that offers at least a basic bike fit, especially if you plan to purchase a new bike. The best bike shop is a ‘great’ bike shop. A great bike shop should be able to accommodate your needs, but employees will be more receptive if you’re not demanding, critical of their prices or fishing for a deal. Loyalty and trust must be cultivated on both ends. Everyone knows you can find cycling deals online, but don’t abuse your customer reputation by taking up an employee’s time test riding, adjusting the fit or asking endless questions about a product that you plan to purchase online. And be polite by calling the bike shop first, instead of dropping off your bike and expecting an immediate repair. Once you find the best bike shop, make your love known. Share your find with friends and stop by the bike shop, even if it’s just to share a great cycling story or to chat about the latest gear. If the bike mechanics go above and beyond, tip them or slip them a six-pack of beer. A great bike shop will go out of their way for loyal customers, often throwing in free labor, small parts or on-the-spot repairs.